Over the last months, RheumaKit has evolved from an innovative differential diagnosis IVD tool for patients with undifferentiated arthritis towards a full platform for personalized management of arthritis. RheumaKit already enabled differential diagnosis with RheumaKit-Dx. It now also allows patient monitoring and clinical studies management with RheumaKit-Timeline (for Rheumatologists). The example below shows a patient who apparently does not benefit from Adalimumab, nor Infliximab. The list of possible metrics to record is very large. 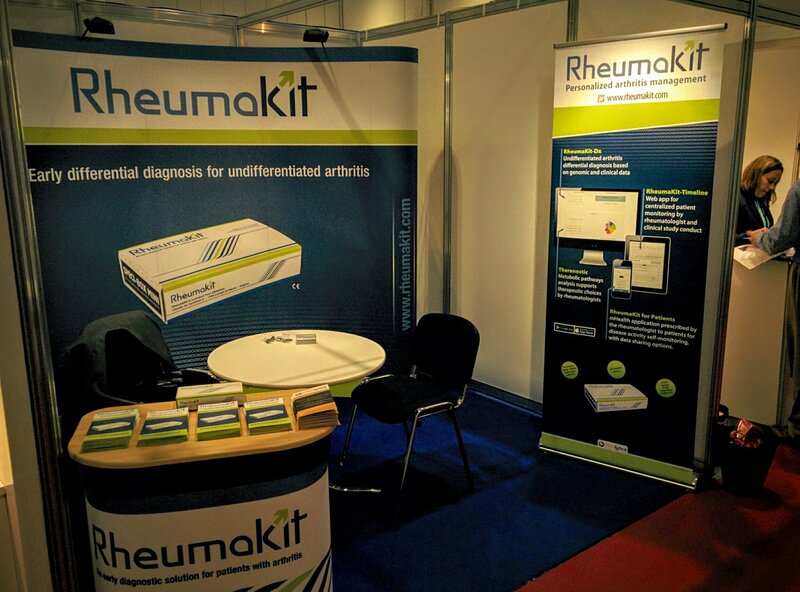 Rheumatologists can also recommend to their patient the use of RheumaKit for Patients. 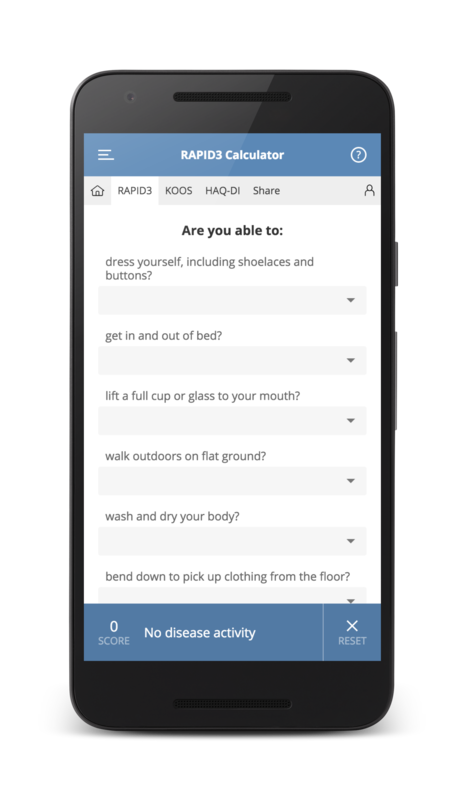 This mobile application, which can be connected to RheumaKit-Timeline, allows the Rheumatologist to monitor disease activity thanks to scores that are self-reported by the patients via their smartphone or tablet (available on Android and Apple devices). This way, the Clinician has not only a global and objective view of the patient evolution, but he also can adapt the follow-up. 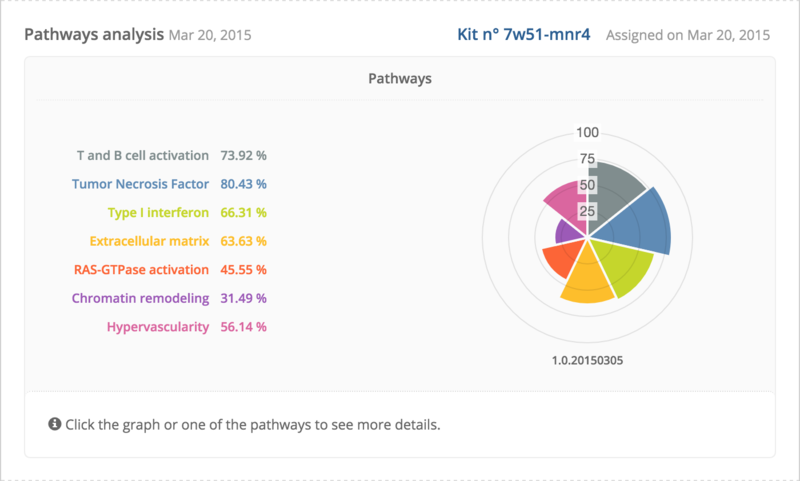 Finally, RheumaKit, through a metabolic pathways analysis, shed lights on the specificities of each patient. This metabolic snapshot nourishes the establishment of therapeutic strategies by the Rheumatologist. Further developments are ongoing to go much further in terms of treatment response prediction with our RheumaKit-Tx program. See the next paragraph. We are very happy to announce that two clinical programs are on their way! The first study, RK-Tx-01 is centered on Anti-TNFs response prediction based on the RheumaKit platform, targeting patients non-responding to synthetic DMARDs therapies. This study, supported by Wallonia, will involve six institutions from Belgium, France and Spain, and coordinated by the Clinical Trial Center of the Cliniques Universitaires St-Luc (Brussels, Belgium). 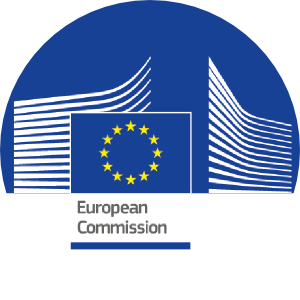 Second, our clinical study project ADDITION submitted in November 2015 has been evaluated by the European Commission. 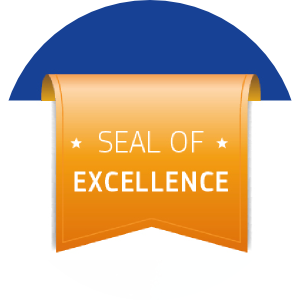 The project has received the "Seal Of Excellence" from the European Commission, after its evaluation by an international panel of independent experts. This means that it has passed all the stringent Horizon 2020 assessment thresholds in terms of scientific excellence, societal impact and efficiency of implementation, required to receive funding from the EU budget. By lack of budget at the European Commission, the project cannot be funded immediately. We will thus seize the next opportunity for funding, which will be at the beginning of 2017 at the latest. Other national and international programs are being set up too. We are very interested about hearing from your experience with therapeutic strategies and difficult choices you might face in treating your patients. We are also very enthusiastic about sharing our expertise and discoveries. Location: London Heathrow Marriott Hotel. Location: Hotel Van der Valk, Charleroi, Belgium. Location: Aula Magna, Louvain-la-Neuve, Belgium. Note: we generally travel with Belgian chocolate (chocolate is well known to be good for joint health) ;-) Do not hesitate to make an appointment with our team. and the whole team at DNAlytics and RheumaKit. Copyright © RheumaKit, All rights reserved.